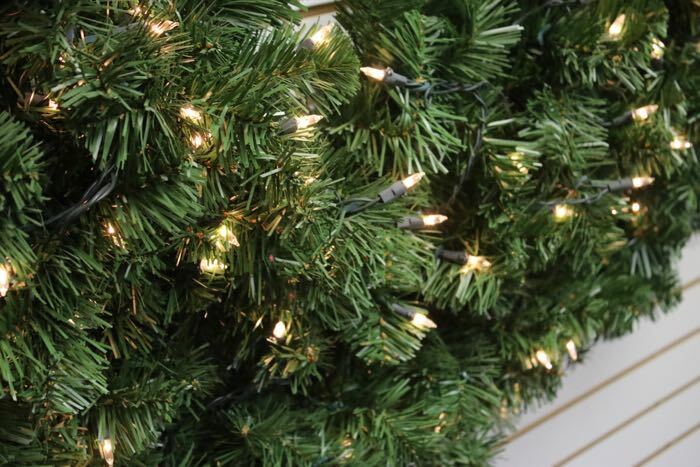 This gorgeous Oregon Fir Wreath come with 400 clear incandescent bulbs pre installed onto them. 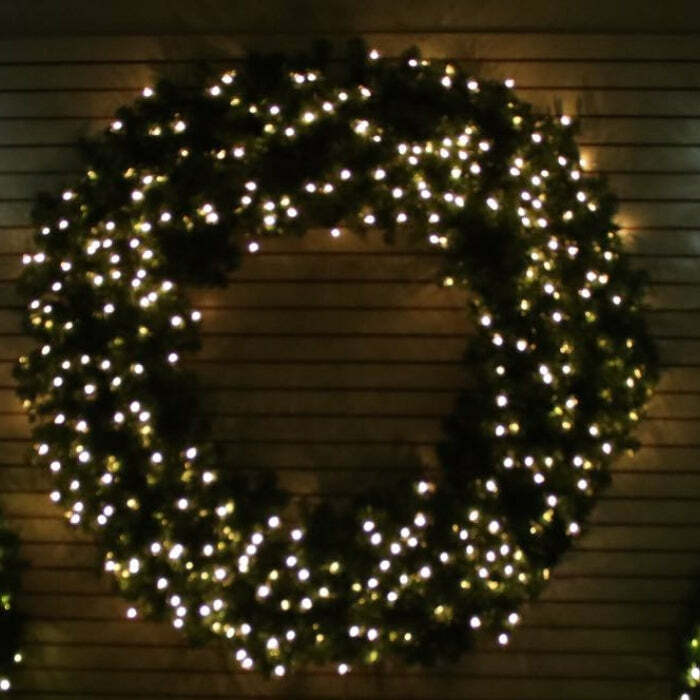 Each one comes with 900 tips and when the wreath has been fluffed and styled it will reach 72 inches across tip to tip. 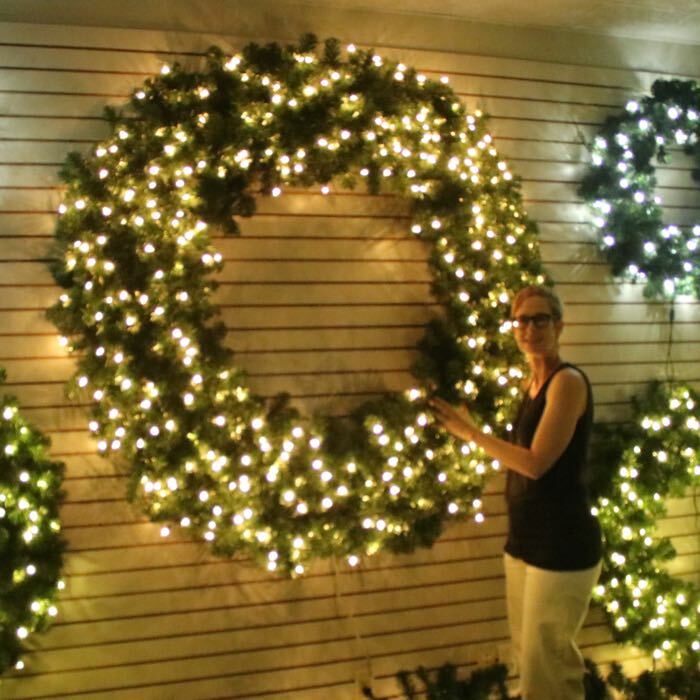 These are great for completing your holiday decor. We have seen these used by our customers in a variety of ways. 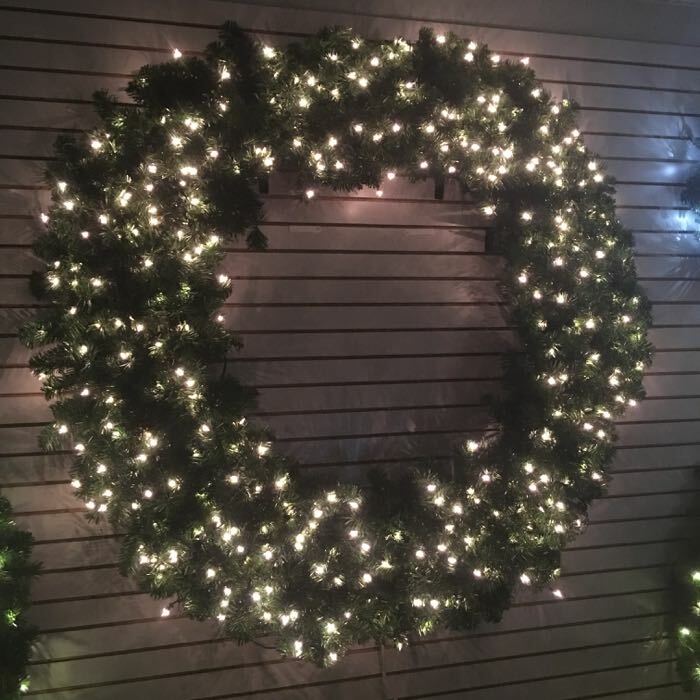 For further clarification: The measurement of 72 inches is from outer reach of the wreath tips to the outer reach of the wreath tips on the other side of the wreath. It is not a measure of the diameter of the internal frame of the wreath. This is an industry standard but we want to make sure that commercial and residential customers alike understand this term. 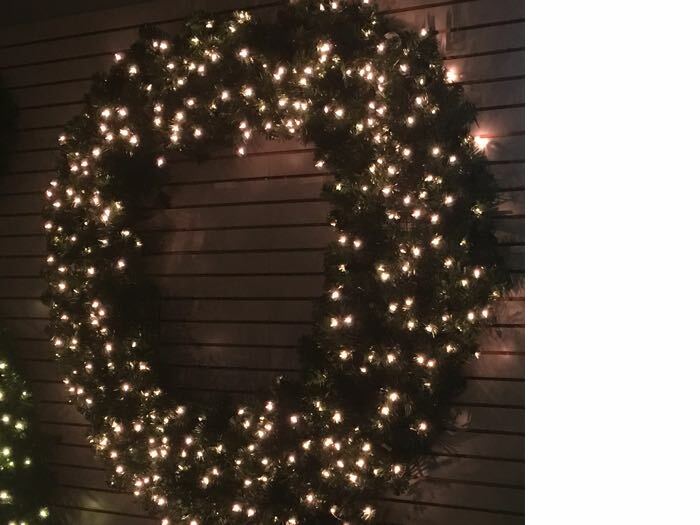 Your wreath will arrive in a "compacted form" and you'll have to fluff it up thoroughly to achieve that tip to tip measurement. 900 Tips, Tip Tapering. Comes in 3 pieces.